Here's somthing I've wanted for a while: Hogwarts Trunks! and when I can't find what I want, I make it myself! 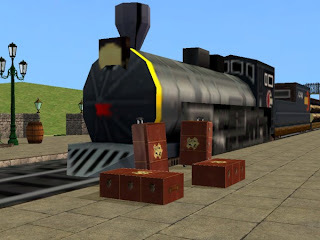 This mesh was made by StephSim and Jason Duskey, modifed from a suitcase mesh by MizzesSimmer. The lying down trunk is a mesh by me- the first mesh I've made from scrach (though it's only a box). 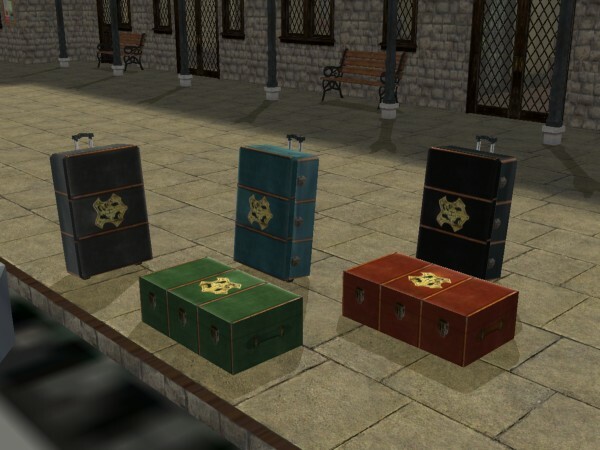 These Trunks come in two versions each, making for four different objects; they have separate GUIDs and can all be in the game at the same time. The decorative versions should be base game compatible, are found in Deco->Sculptures and come in all five colours. The funtional upright trunk acts as a dresser and requires Pets. The functional lying down trunk is cloned from the Castaway dresser-basket from MATY (More Awesome than you). It acts a dresser and sims can also use it to right in their diary. I don't think it requires any expansions, but I'm not 100% sure on that. Also, these aren't animated- sims will open an invisible drawer/lift an invisble lid to use them, but they do work. All meshes and recolours are included. these aren't slaved in any way (I don't know how) but that way you choose which meshes and colours you want to keep. Tee hee. The Hogwarts colours caught my eyes! I didn't even recognize MizzesSimmers original meshwork. 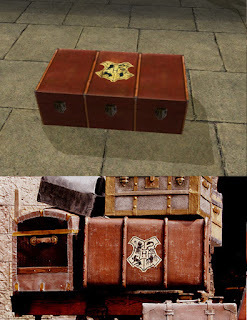 Talk about HP obsessions! Love the textures, Danielle. These are nice. I collect all things Harry Potter! I think I may have forgotten to mention that the functional flat trunk isn't recolourable, and I don't know how to make it recolourable- so it only has one colour, sorry! ok, thanks for clarifying! These are really beautiful, great work.